New World Interactive revealed today in a blog post that Insurgency: Sandstorm will launch this September on PC, priced at $29.99. Meanwhile, PlayStation 4 and Xbox One users are going to have to wait a little longer as the developers are now planning to launch the game on consoles at some point in the first half of 2019. New World Interactive had previously confirmed that there won’t be a single-player campaign as originally announced. However, they’ve now provided extensive information on what will be available at launch for multiplayer. Let’s talk a little bit about our content and what’s new. We’ll be releasing in September with the following game modes: Push, Firefight, and Capture the Base for Versus, as well as Checkpoint for Coop. 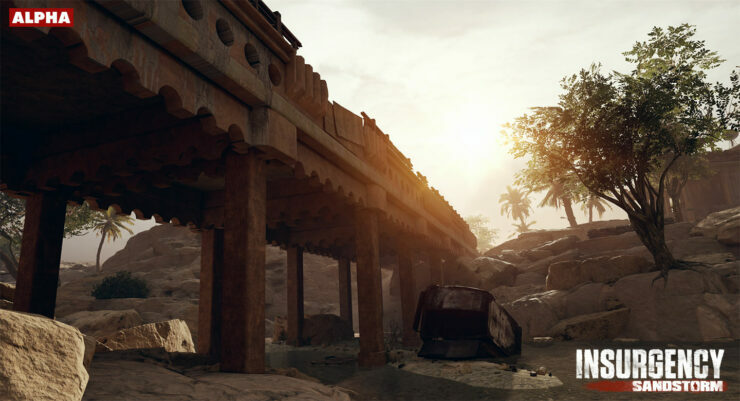 Operation and Outpost were mentioned in our last blog post; Outpost being a legacy mode of Insurgency and Operation being something more experimental. These won’t be included for release and will be considered for post-release content instead. We’ve found they’ll need some more attention than we originally planned, and we still need to determine if they have a place in our experience. As we mentioned in the last community update, we want to make sure every game mode is tight, unique, and fun, and that we don’t split our player base too much with too many. Checkpoint mode is shaping up really nicely and has some pretty sweet improvements since Insurgency. We can’t give specifics just yet, but you’ll be seeing them soon enough. We’ve added a ton of content since our last update in January. The release will have roughly 40 weapons and about 40 upgrades available for many of those weapons. While some of these weapons will be familiar for fans of Insurgency, many are new. Fire support has been further fleshed out and runs the gamut from jet airstrikes (BRRRT), explosive artillery, chemical mortars, explosive suicide drones, and helicopters who will swoop in and attack with rockets, miniguns, and autocannons. When coordinated effectively by a team’s Commander and Observer player classes, one of these fire support options can spark a pretty wicked comeback or solidify the strength of a push. We’re also working on our character customization system which will include hundreds of different cosmetic items as well as several voice options. We will have over 6500 lines of unique character dialogue including local Arab fighters (for both Security and Insurgent teams), American special operations soldiers, fire support coordinators, and air support pilots. We currently have no plans to include Steam Marketplace support, item trading, or a loot crate system. All these items, in addition to not affecting gameplay, will be a totally optional secondary aspect to the game. They will be unlocked by progressing through ranks and by using an in-game currency system with a direct buy option for most items. Rosh went hands-on with Insurgency: Sandstorm a few months ago and found it to be a deep tactical shooter as promised. The firefights are the heart and soul of Insurgency: Sandstorm and were suitably intense. The sound design alone was amazing. Bursts echoed out in the tight corridors and rooms when bullets snapped and whizzed past. I remembered something about what the sounds mean from Black Hawk Down but then I was promptly killed for not paying enough attention. Enemies switch between hunkering down and launching a counterstrike in a way that keeps the fights moving. Being suppressed meant your vision going typically blurry and narrow and there was a real satisfying clunk sound when firing your big beefy rifle.